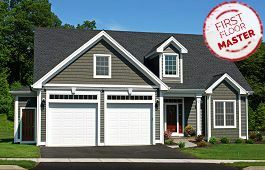 Rental Homes CT | Rental Apartments Connecticut | By Carrier Inc. Discover these premier town homes on Burlington avenue in Bristol. Enjoy the luxury, dependability and efficiency of By Carriers proven construction standards, without the cost of new home ownership. Featuring designs meant to appeal to single individuals and families alike, such as an open concept first floor with nine foot ceilings, spacious kitchen with a walk in pantry, master suite with his and hers closets, second floor laundry room and gleaming hardwood floors throughout!